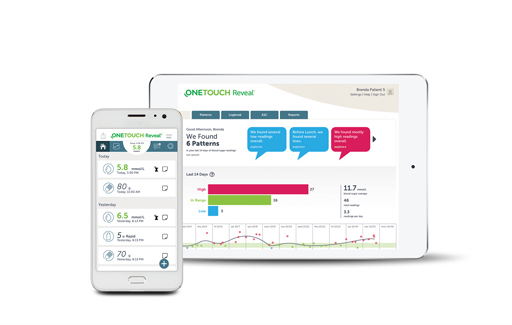 OneTouch Reveal® apps use a cloud-based patient-engagement ecosystem to link patients and healthcare professionals. 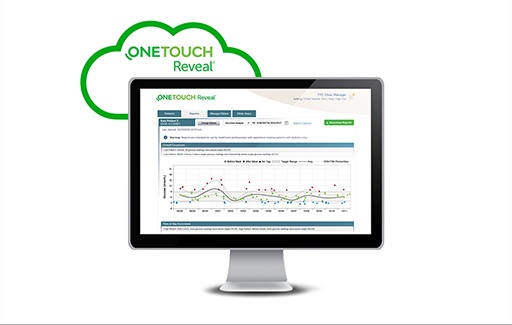 Automatically combines data from all devices linked to your patient’s account. A valuable management tool to help identify what’s working and not working for your patients.